Speaking My Mind: Are you ready yet? Lazy Hazy days of summer... wardrobe! Memorial Day, Flag Day, Fourth of July and lastly Labor day! 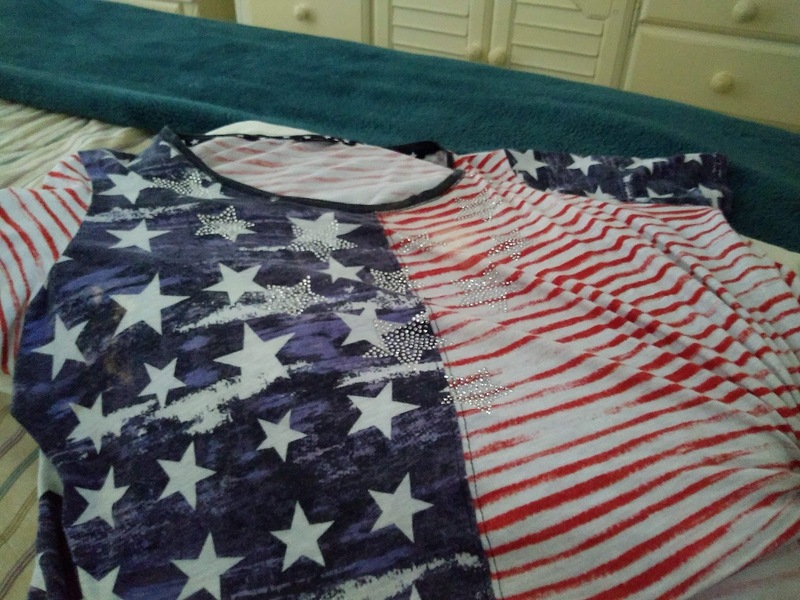 Most wear appropriate clothing for such commemorative days and so without further ado... my minimalistic choices for such patriotic days are marked with much red, white and blue! 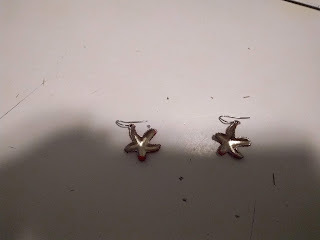 Costume jewelry needed some sprucing up and so with a few strokes of my red acrylic paint on starfish not from flag stars then I would have painted them blue, who's kidding... the red looks better next to my skin tone, fake gold turns into cheery cherry to go with the upcoming holiday apparel! Blouse three sizes too big, but with a navy ponytail tie I gathered it to one side, and swept it up, and the fit is classic! I do have a couple other striped red and white and a couple of solid red blouses with appliques for the holidays too. 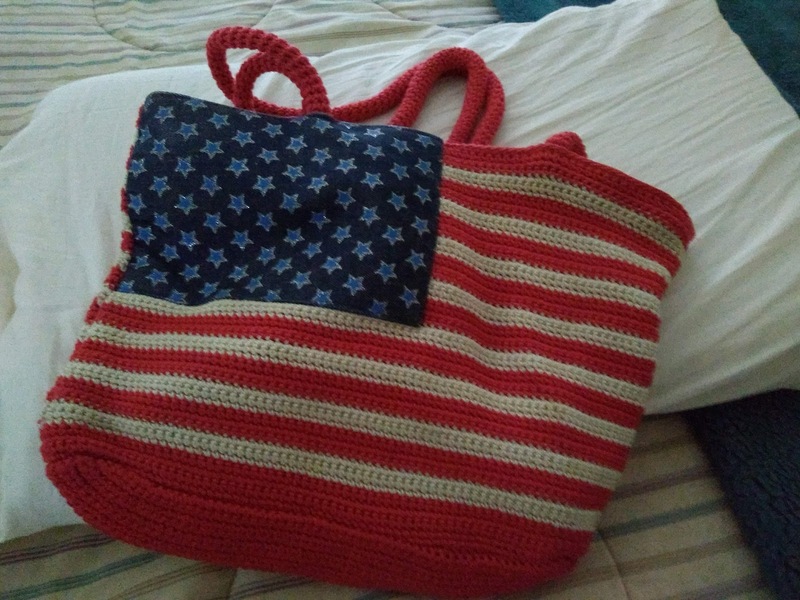 The flag purse below was purchased right after 9/11 when we all felt the need to show our strong fearless patriotism! Navy jeans, washed out or either dark ones too, white slacks if you dare,( not for me these days) as well as white or navy colored sneakers, red if you got 'em, and you can fit in anywhere during those lazy hazy days of summer! Moving on... to a reality check. This Alberto subtropical system is putting the kibosh on most outdoor venues and celebrations, even memorial services usually held outside... oh well. As the weekend progresses the rain potential goes from 90% to 80% to 70% by Monday on the actual holiday... as I said before... oh well. We are still very damp here, but fortunately it has so far been only a light drizzly type of rain. In spite of that we did accomplish many errands today! First stop was at Sam's Club, the Big Box Store, for Maxwell House coffee, Pam, Miralax (generic), and Pepcid Complete, their gas was higher than WAWAs once again, so we topped off our tank on the way home at $2.84.9 a gallon at WAWA. After Sam's we tried Target for a weather station, we have one, and we have had them for years, but wouldn't you just know it now that the season began early, ours is not working right? 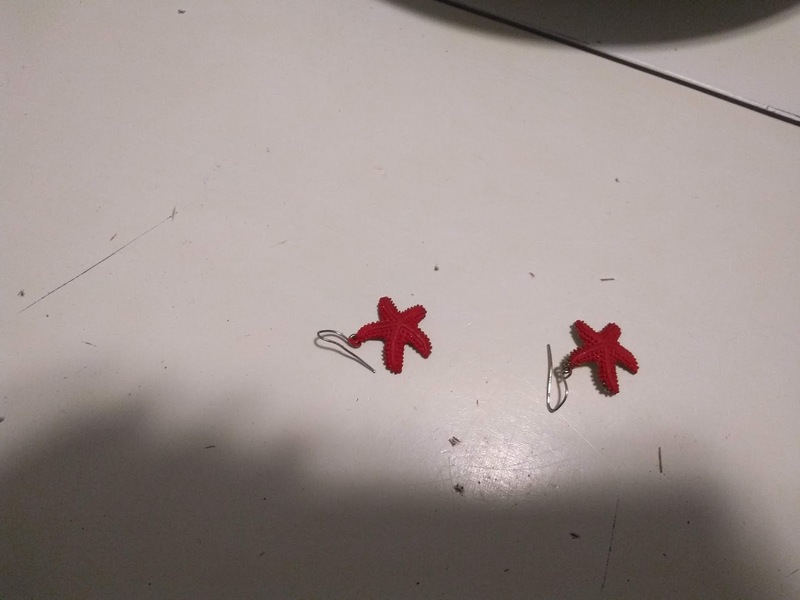 They were not the type we had wanted there, so the search goes on... probably online. From there to Home Depot to pick up our tiki hut covering that actually arrived there and shipped free to the store yesterday. Hubby also needed other wood for the project, and a new battery for his drill, a Dewalt, actually Number One Son's that he loaned him, but it was more cost effective to buy a whole new drill with two batteries, a Ryobi, that cost with two batteries the same as the one battery for the Dewalt! So that is what he did. Battery tools are always preferable when you work near or on/over water, safer. They were offering free hot dogs for customer appreciation day, but by the time we finished our shopping they were all done and gone! So after our stop on the way was to Publix, Hubby is saying separation of church and state, like separation of decent groceries and politics... although Publix has addressed both the cake and NRA poor judgements accordingly and immediately! Anywho, we did attain what we needed from there, and stopped the topper of gas on the way fifteen bucks for only 5.26 gallons! Will it get worse before it gets better...YUP! We felt it was prudent in case we have to evacuate, again, due to flooding? Hubby decided he wanted a hamburger at DQ drive thru, so two singles (burgers) with everything and one small frie and one large chocolate shake, shared 25% for me with skim milk added and Hubby's the 75%, and Hubby got us all unloaded with purchases, and so we did beat the heavier rain about to fall! And it did start right after. I did not finish my burger, saved in the fridge. We are currently under a tropical storm warning. We are under a flood watch still. Must stay tuned for possible (medium threat) of tornadoes! Light rain today has not stopped scouts from putting flags at soldiers graves though. That was an important undertaking, and it's nice to hear they were able to accomplish that meaningful gesture. On that note allow me to wish all of you a happy safe good night.